We always love Dr. (Jamen) Esposito. She has been my child's pediatrician for years now. My daughter feels so comfortablewith her and looks forward to seeing her when she has an appointment with her. We always love Dr. (Jamen) Esposito. She has been my child's pediatrician for years now. My daughter feels so comfortable with her and looks forward to seeing her when she hasan appointment with her. The nurse was kind of. rude a long wait and like always the doctor said it was a virus just buyMotrin for his fever !! The nurse was kind of. rude a long wait and like always the doctor said it was a virus just buy Motrin for his fever !! 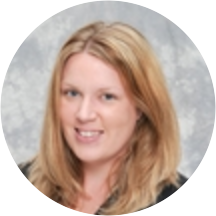 Dr. Erin Jamen is a pediatrician treating patients in Chicago, Illinois, and the surrounding communities. In order to pursue her medical degree, Dr. Jamen attended the Southern Illinois University School of Medicine. She continued her medical education at the Advocate Christ Medical Center and Advocate Children’s Hospital. At these facilities, Dr. Jamen received her residency training in pediatrics. Dr. Jamen's primary goal as a practitioner is to ensure that each of her patients receive the highest available standard of medical care. Dr. James holds certification from the American Board of Pediatrics. Patients visiting Dr. Jamen can receive a full range of medical services. Her areas of clinical interest include weight management and well-child care. General pediatric consultations are also available, as well as treatment for specific illnesses and issues.